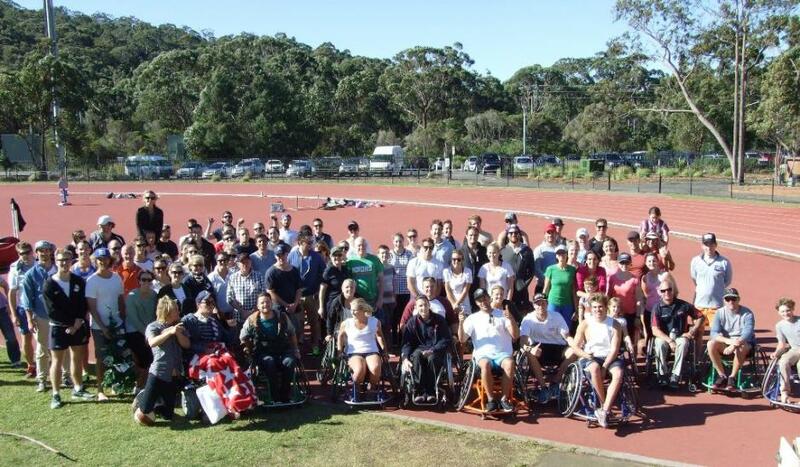 Fresh from their success at the recent Australian Surf Life Saving Championship the Newport Surf Club's Surf Racing Academy entered three teams (Newport Flying Fish, Newport Makos and Newport Tuna) in the Fresh Tracks annual Team Wheelathon, wheelchair marathon race, held on Sunday 4 May. Fresh Tracks is a charity that supports the ongoing rehabilitation of people who have suffered brain injuries. It is a four hour team event, where teams race around the track in race wheelchairs. "The academy thought it was the perfect type of event for our guys to do during the off season and also to help out a very worthwhile local charity. Plus we all need to try and keep fit over winter. We have teams of men and women from our Newport water competitors and our Makos open men's boat crew will be competing," said spokesperson Tom Kellaway from Newport Surf Club. Money raised at the Team Wheelathon will go to young people with an Acquired Brain Injury. These young people often do not have insurance and once they leave the rehabilitation hospitals receive very little follow up. The organisers are aiming to change this through a Return2Sports scholarship where they work alongside an exercise therapist from the Royal Rehab Centre to achieve their sporting goals (which could be as simple as walking the last 10 meters of the City2Surf). Have you ever tried pushing yourself in a wheelchair? Help support young people with a brain injury and test our your skills in a wheelchair. When tired swap with your team mates. The winning team is the one that does the most laps. Report by John Guthrie, photographs courtesy Newport Surf Racing Academy, 2014 .